There is a time and place when finding the best gift possible for your little girl is important, whether that is for her birthday, special occasion or even Christmas, there is always something around the corner that needs finding. We understand as parents what this is like and that’s why we have put together 21 fantastic gift ideas that make this one of the best reviews for kids toys aged 3 years old and above. We have all sorts of gifts to consider and they range from painting activities sets for the creative types, push bikes for the sporty girls, cuddly toys for the soppy ones, pink-themed play tents for the girl who needs her castle and loads more also. Every parent has at some point wondered what toys can help with their child’s development. This is also a concern of ours at Star and we want to make sure you have the best child developing toys that can encourage their development and promote well-being through play. This is also the age where parents lay the way for them being able to begin learning to read themselves, which is why we have added a fantastic book for them to enjoy. Some toys naturally inspire creativity and have activities built into their design, which makes them particularly good at encouraging them, whether through actively encouraging their imagination. Other toys focus on physical activity and require different skills, which also help their hand-eye coordination and motor skills, so whatever choice you make know that all factors have been considered to the highest standard. 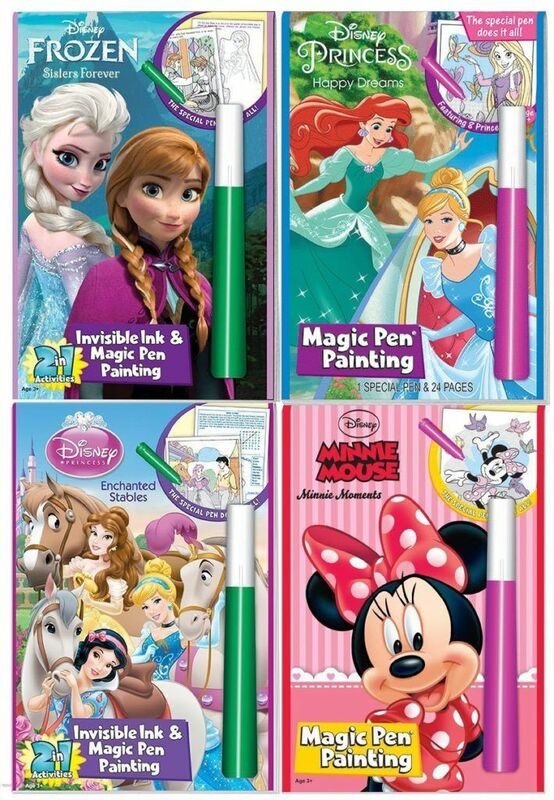 This magic pen painting set is a colorful gift that has all the Disney favorites to draw on. The rainbow colored pens make the classic pictures come to life in a unique, cool way with these special rainbow pens. The kids are always amazed by the color of these pens. There are 4 themed Disney activity books, Frozen “Sisters Forever Frozen, Princess Happily Ever After and Enchanted Stable, Minnie Moments coloring books“. Each of these is captivating stories and activities booklets, which offer countless hours of creative play. This kids activity Disney set is made in the USA and has superior design, which will inspire them to get creative. The enchanting stories that come through drawing is fantastic and help their imagination spark into life, which is why this is a great gift idea. Every girl must learn to ride a bike at some stage and parents often feel 3 years old is the right time to begin teaching them how to ride. This is why this is often a perfect gift that will encourage them to begin the upward battle, however, with a balance bike this becomes a lot easier to learn with fewer falls. 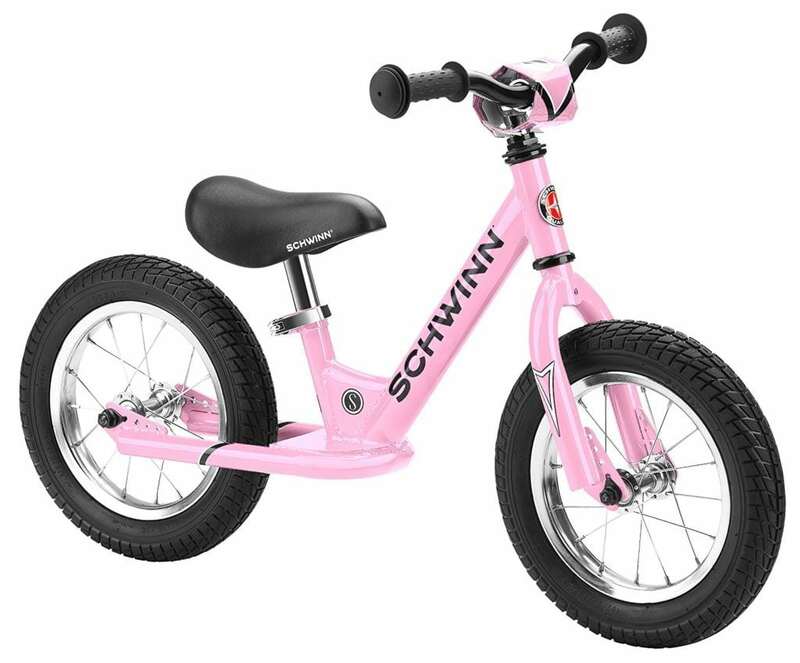 This pink bike gift can help with balance, motor skills, hand-eye coordination and offer them a fantastic tool for getting around and fine-tuning their abilities. These types of bikes are better for toddlers learning. Parents either choosing a balance bike or a bike with fitted training wheel I would always recommend a balance bike for starting. This naturally develops their sense of balance and helps them become better at balancing on a bike. 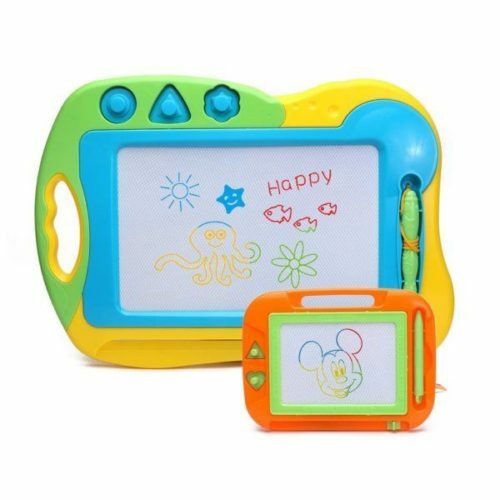 This toy by Happytime comes in 2 separate pieces, one the doodler sketch, which has a color screen and is a little larger and the other which is bright but smaller. The erasable aspect of this makes this a creative gift for them to begin practicing drawing without the need to go through lots of paper, just simply shake and start again. The fun never ends. The drawing board is easy to use and comes in different colors, which is a new feature and only a few years ago it was the black and white kind, but not longer. This drawing board comes with a magnetic design and is easy to use with sliders and erasers. The stamper comes with the drawing board and is stored in the top of the board. These are in the shape of a flower, triangle, and circle for helping them become a little more creative. This is a great traveling companion gift and makes the long journeys easier, which is why this birthday, Christmas or just casual present makes this a thoughtful one too. Parents are always trying to get them off their toddler iPads, especially at night and this is a good way to keep them happy and avoiding blue light that impacts the quality of their sleep. 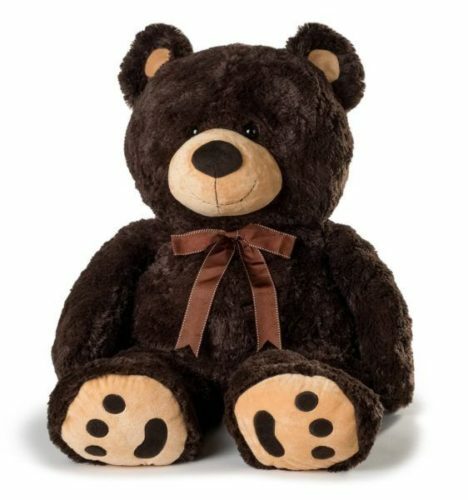 Every little girl loves her teddies and with this large dark brown one they can cuddle until her heart is content. 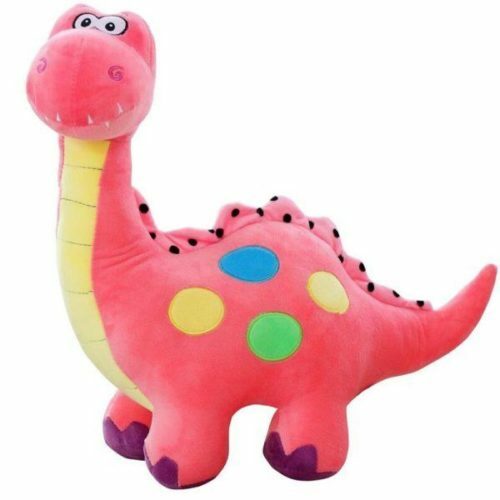 This huge cuddly bear is a perfect gift for a parent wanting to spoil their little princess. The Joon company make good quality bears and all the families far and wide agree, which is why this might be a teddy bear for life. The teddy features a massive 38 inches in height, huggable, fully stuffed and with a ribbon that finishes the look, which is just adorable. I think this gift idea is one that always goes down well with children and with the playrooms or bedroom large enough this will be a gift to remember. I still remember all my teddies and so will she with this humongous teddy bear that stands over 3 feet tall. 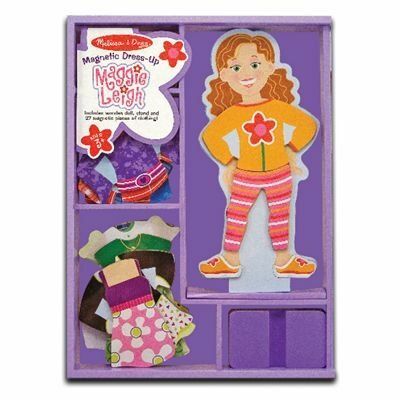 The Maggie Leigh magnetic set is a wooden dress-up game that the girls can pretend to play dress-up Maggie. There are loads of different ways to make her look and this is a fun-filled play set to get them learning about coordination with motor skills as well as fashion. There are 25+ pieces and each one has a slightly different look, so whatever their preference there is a dress to match their style. This is a game mother and daughter can play together and mom can teach her the do’s and don’t’s of color coordinating. This activity set is a gift that will encourage their creativity and imagination with vibrant colors, countless possibilities and an easy to use wooden boxset. which is why this will be a good choice for a birthday gift. This self-ink stamp set is a great activity set for getting the little girl’s imagination going with loads of different stamp designs included. 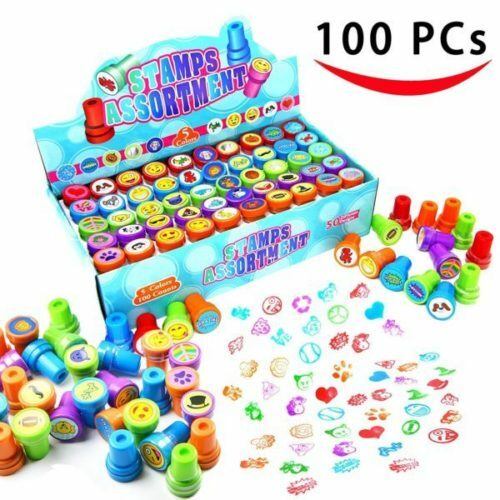 There are 50 unique designs, which include emoji, dinosaurs, zoo animals, party ideas, prizes, and loads more favorite children themed ones. Each stamp is small at 1.5 x 1 inch, which is a perfect size for letters, paper pads, notebooks, birthday cards and paper use. This set of stamps are colorful and well made for those who want to use this all year round. Some other game set stamps become easily worn and dried up, but these don’t and are a fantastic gift idea of the birthday girl. 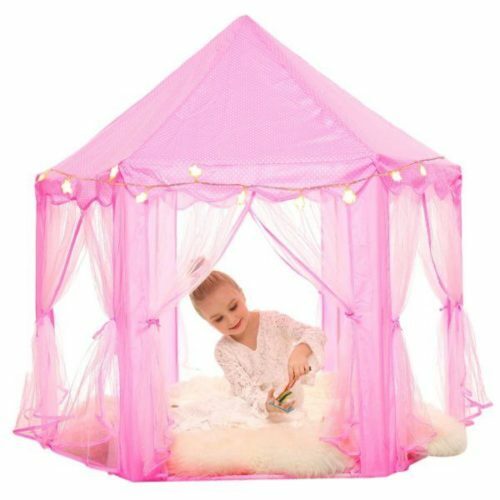 This Sherosa playhouse tent is designed like a little pink castle, which some girls will love and feel like a princess in the castle. This play tent is quite large and can be used both indoors or outdoors and is large enough that it can fit a birthday girls friends in as well. The color is fabulous and any birthday girl would love a gift like this, especially if this is their first time having a playhouse tent. The dimensions and size are 55 inches in diameter and 53 inches in height, made with durable fabric and comes with a carrier bag for ease of use and transportation. This assembles in minutes and makes a perfect pop-up tent for hours of use and play, which provides shade from the sun. I think the open side design makes this cool in summer and warm in the winter. The friendliest dino in the land exceeds safety standards set out by standardsn. Designed for 3-year-olds in mind, it makes a great birthday present for your little girl. 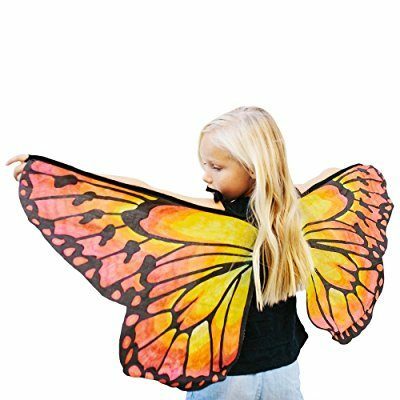 This pair of beautiful butterfly wings lets your princess become the butterfly she always wanted to be. Each design is unique because they get to design and color in the wings them self. Winner of DR. Toy vest Vacation 2015 award, you know that your girl will get so much fun out of these. Using their imagination and craft skills to take to the skies. Maybe your birthday girl has taken an interest in cooking. Now would be the perfect time to feed that desire for this plastic food set by YIFAN. 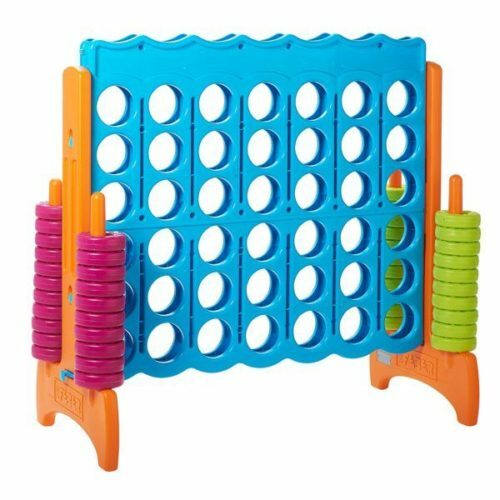 Each of the 24 pieces comes attached to its other half by velcro, so children can easily ‘cut’ them with the plastic knife and stick them back together once they’ve finished. Bright colors will stimulate your child’s brain and have to stick them back together will increase their motor skills at a young age. 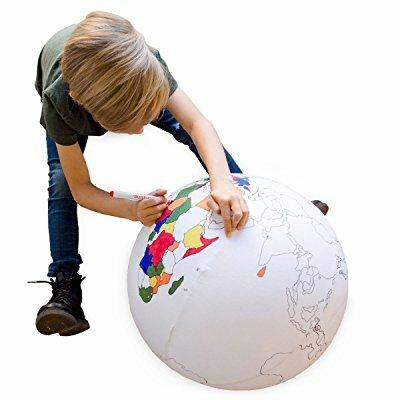 Winner of Best Toy Award by Oppenheim Toy Portfolio, this inflatable globe uses a bike pump to inflate. The globe has all countries, seas, and continents laid out as you would expect to find on a real globe. The manufacturer includes a craft marker set with the ball and recommends having the ball inflated fully before attempting to color anything in. This will ensure accuracy and no mistakes. 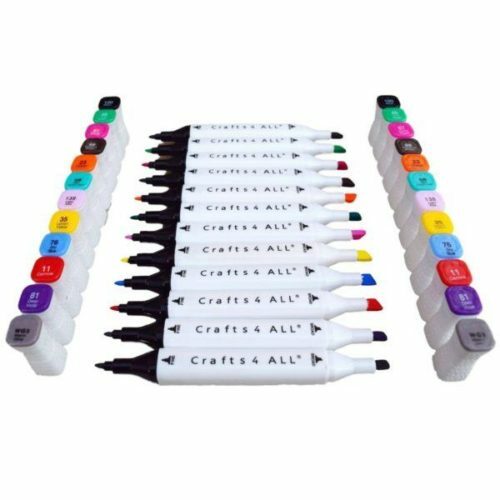 This 12 pack of fabric markers make a great gift if you and little girl want to do some craft together. They’re nontoxic so are safe for your child to be around. The bright colors don’t bleed when you write on clothes and won’t wash out of clothes when you’ve drawn on your design. The double-ended pens mean that you can use one end to finally draw lines and shapes and the other, thicker end to color in spaces. A great birthday present. 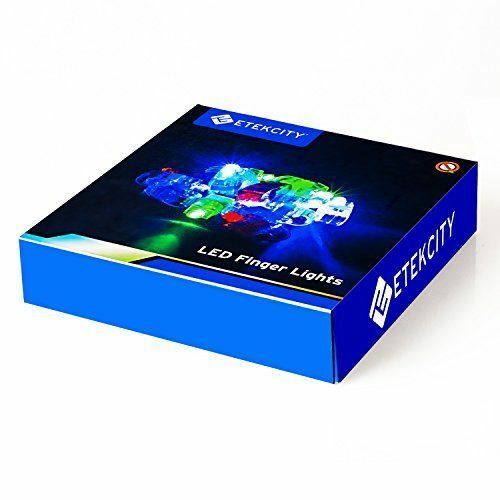 If you’re throwing your daughter a family birthday for her third birthday, then these finger LED lights are a must. The pack of 100 comes in a variety of colors (red, white, green and blue) so they will suit any mood that you’re going for. The battery lasts up to 24 hours in these and the manufacturer is so confident in their ability to perform that they’ll happily replace any duds you might find. 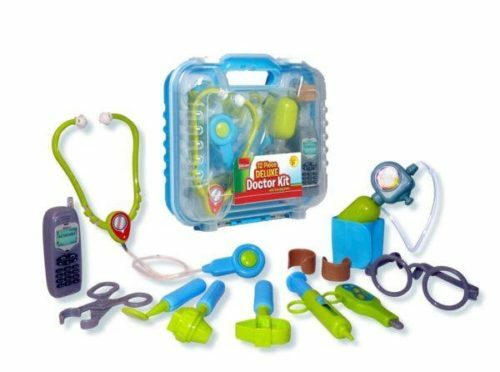 The 12 piece set comes with a battery operated the phone, a battery operated stethoscope which makes real heartbeat noises (battery included) and a handy case to carry it all it in. 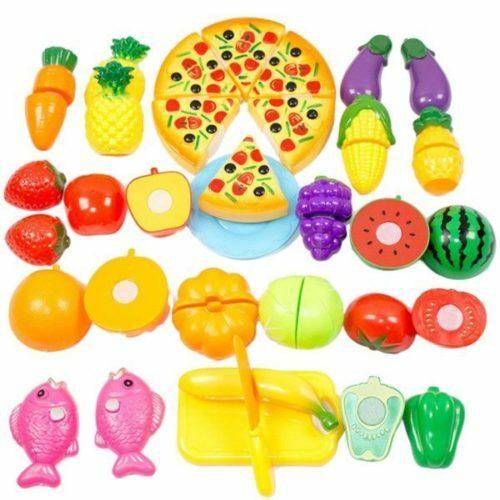 The large plastic items are easy to clean so this set will always remain fun. 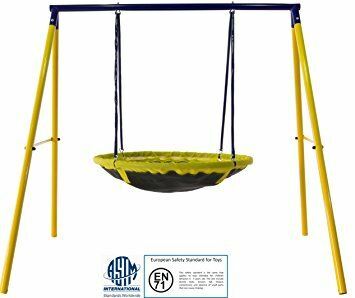 Toddlers and adults alike can enjoy this UFO swing set. Made from a durable nylon mesh and strong steel frame, it will last the test of time for sure. Construction is easy and the instructions are included with everything else you need to build it yourself in your hard. This swing teaches kids that outdoor play can be fun and that swinging is as easy as pie. 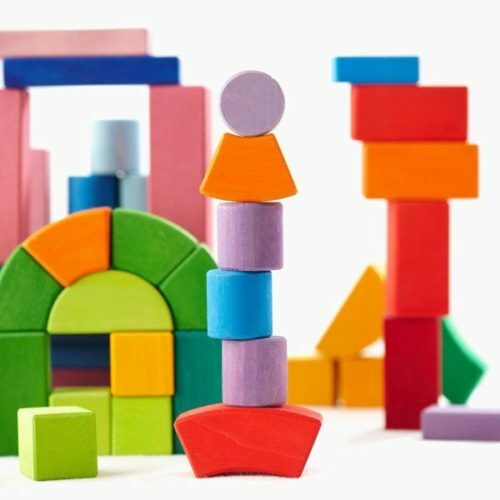 Imagination is the only thing limiting what your girl can build, and these high qualities crafted wooden blocks are ideal to let them explore their creative side. Helping to develop motor skills and storytelling skills. This set comes with a sturdy wooden box to help with clean up time and to keep everything together. 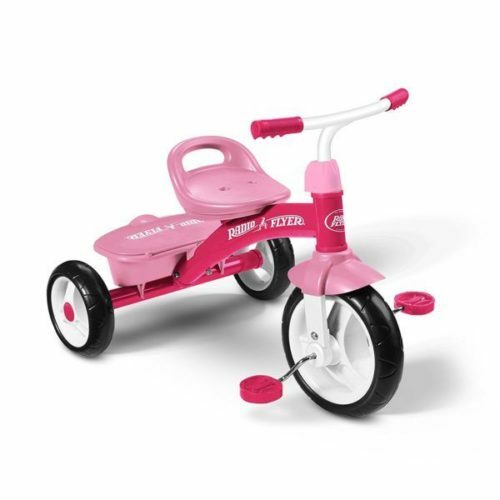 A rider-on-tricycle is a perfect gift for your three-year-old girl that will keep giving for years to come afterward. The carrying tray at the back of the bike comes with a lid to cover it, so your girl can have fun taking all her little things around with her. 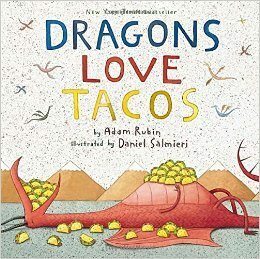 Dragons love tacos is an Amazon bestseller written by Adam Rubin and illustrated by Daniel Salmieri. It tells a story of how to get dragons to come to your birthday party, they love tacos, so that’s exactly what you’ll have to serve. Lots of them. Just watch out that they don’t get any of the spicy salsa! 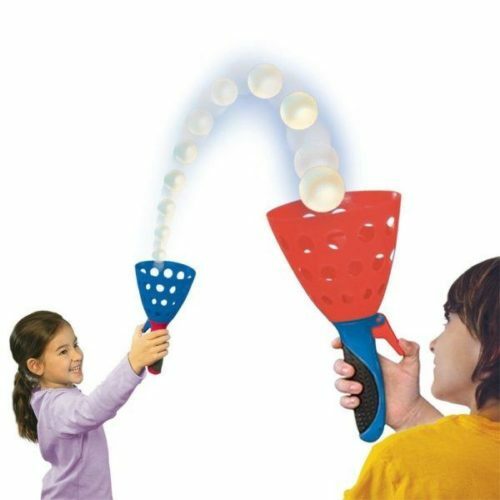 The original and still the best party game to play at your three-year-old’s birthday. Designed for three-year-olds and safe to play indoors and outdoors. It will help to improve your child’s motor skills as they ‘pop’ the ball back to one another trying to catch it as they do. The set comes with two launcher/catchers and one ball. A great way to develop your child’s cognitive abilities. Made from high quality, durable plastic that won’t fade if you leave it outside in the yard. Standing at 46 inches tall, it’s an impressive tower by anyone’s standard. We all know and love that scene in ‘BIG’ where Tom Hanks plays the piano in the toy store. Well, now you can play happy birthday to your little girl whilst dancing along on this Piano Mat. 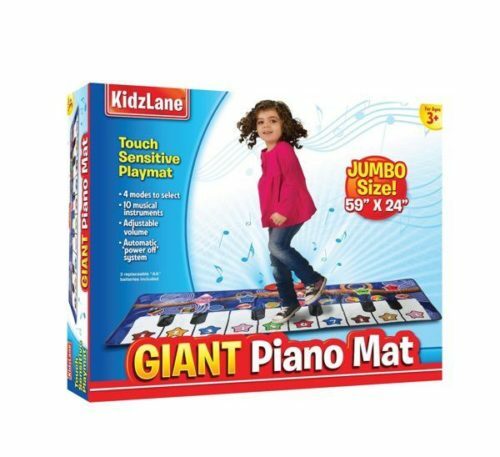 Designed for toddlers aged three and up, this mat comes with the ability to record and change the noise the piano makes all at a touch of a button. Get your child moving and stay fit with the jumbo-sized (59 inches by 24inches) keyboard.